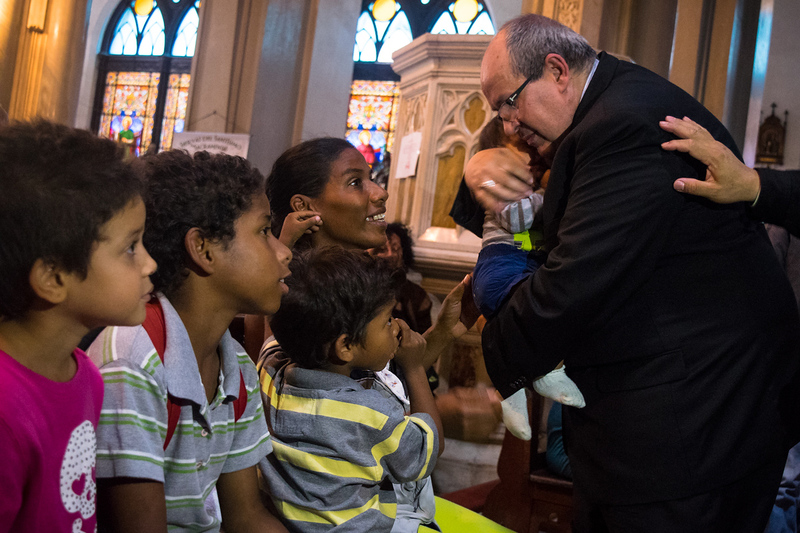 In the lead up to the Easter season, the Colombian Church donated 250,000 communion wafers to the Catholic Church in Venezuela. Scarcity of staple foods is touching every aspect of life pushing up prices and causing families to scramble to nourish themselves. A shortage of wheat flour has severely hampered the Church’s production of Hosts, sacramental bread used in the ritual of the Eucharist. Production has dropped to less than half of the previous monthly levels of 70,000. Priests are resorting to dividing Host into pieces to provide Holy Communion to congregants. Rampant food scarcity means that 40 percent of the Venezuelan population is subsisting off of cassava and other tubers. Inflation has reached a staggering 2,700 percent. Shortages on everything from food staples to lifesaving medication are now the norm. Unemployment is at an all-time high, and resourceful Venezuelans have to look to creative means to cobble together a meagre income. Julio Aular, sold a parcel of land to purchase a car to bring in a little extra as a taxi driver. Then Julio’s three-year-old grandson, Fabricio, fell ill due to complications from malnutrition. Lack of proteins made his skin swell and become infected. “The problem is there is no medicine,” says Aular who sold his car to buy the medications needed to treat Fabricio. “There is no work, and if there is work one’s salary doesn’t cover the cost of medication. If you do buy medicine than there is no money for food.” The money from the car sale ran out. Fabricio has been in the hospital for going on 13 days and is still not cured. Aular and his family are agonizing over how they will help young Fabricio complete his treatment. An 85 percent shortage of medicines has created a public health crisis of astronomical proportions. Diseases such as measles declared eradicated in Latin America in 2016, have made a radical comeback. Since 2017, there have been 886 cases reported in Venezuela, with others popping up in neighbouring countries as a consequence of the diaspora. Diptheria, tuberculosis, malaria, and syphilis are also on the rise. People already weakened from hunger are even more susceptible to the outbreak of disease. 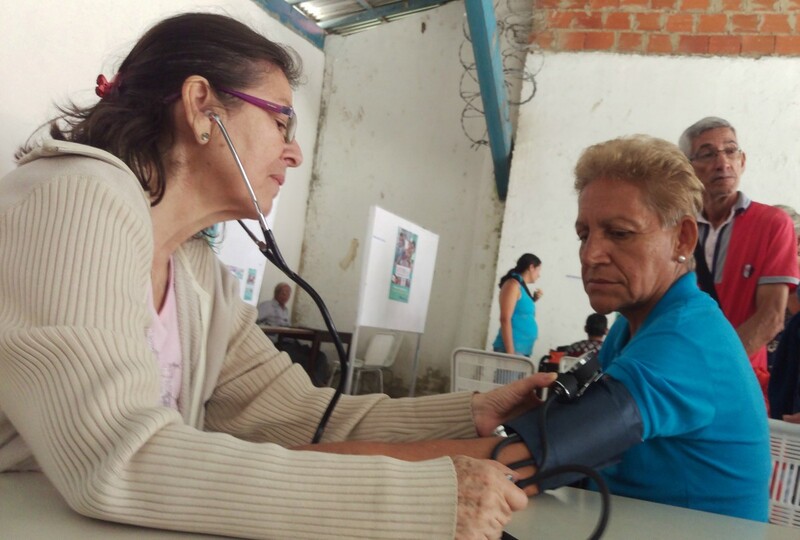 Caritas Venezuela is working to fill the gaps by stockpiling needed medicines and routinely hosting health days where an estimated 400 medical volunteers provide health monitoring. Recently Caritas was able to work to get life-saving malaria medication into the country to try and contain the outbreak. Still, despite the challenges, Márquez is heartened by the unwavering faith of Venezuelans and the palpable desire to rebuild their nation. The Church has set up nutrition centres, largely staffed by volunteers, where children under 5 and expectant mothers are monitored and treated for malnutrition. The number of people tithing their time has doubled in the past year from 10,000 volunteers to over 20,000. 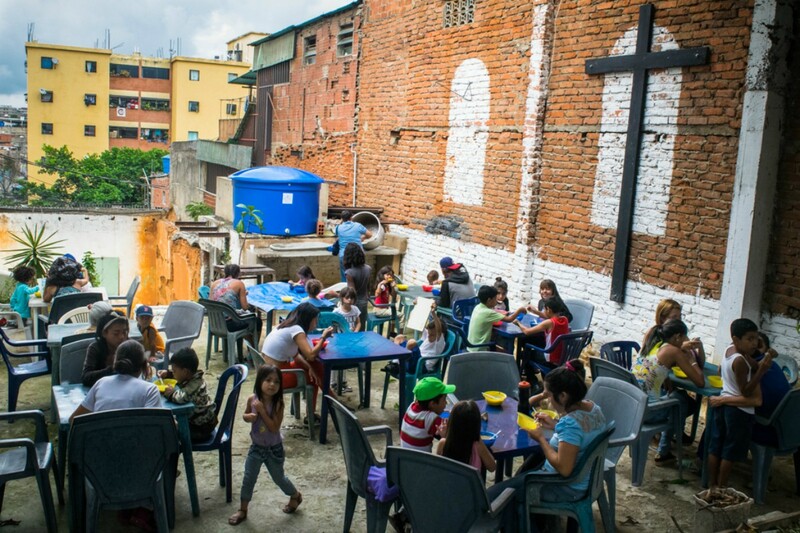 More and more parishes are opening up ollas comunitarias (soup kitchens), which have served more than 1.25 million meals.